Lee Styslinger III is the Chairman and Chief Executive Officer of Altec Inc., the holding company for Altec Industries, Capital Services, National Equipment Company, Altec Worldwide, Global Rental, and Altec Ventures. He became President of Altec in 1994 and was named CEO in 1997. Altec was founded in 1929 and today is a global leader that designs and manufactures products and services for the electric utility, telecommunications and contractor markets in over 100 countries throughout the world. Mr. Styslinger serves on the boards of Regions Financial Corporation (RF), Vulcan Materials Company (VMC), Workday (WDAY), Harvard Business School, US Olympic Ski Team, Children’s Hospital, and the Altec/Styslinger Foundation. He is also a member of the Business Council and the Council on Foreign Relations. 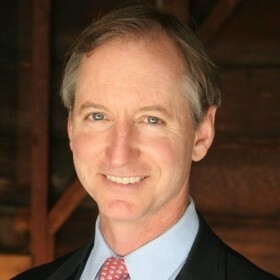 Lee Styslinger served on the President's Export Council advising the President on trade policy from 2006-2008. In 2017 he served on the President's Manufacturing Council and currently serves on the President's Trade Council. He earned his B.A. from Northwestern University in 1983 and his M.B.A. from Harvard University in 1988.